Compatibility: This amplifier can be set to AT&T (3G/4G/LTE), T-Mobile (3G/4G/LTE), or Verizon (LTE only) - you must choose one, it will NOT boost all three at the same time. Does it boost signal for Mobley? Yes, it will boost both AT&T and Verizon. The Mobley is with AT&T. Are there any Cel-Fi kits that support more than 1 carrier? No, they are carrier specific, which allows them to bypass the standard FCC rules that amplifiers fall under. This includes rules regarding the amplifier gain. 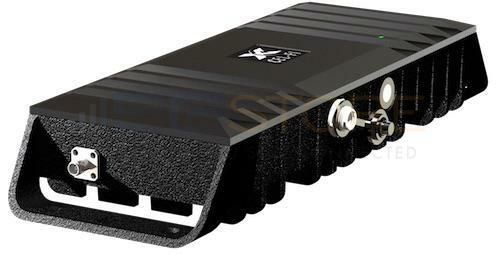 While most amplifiers max out around 72db, the Cel-Fi kits max out at 100db. This increased gain not only results in a potentially stronger signal, but also to support much larger coverage areas (72db gain systems typically cover up to 6000 sq ft, while the Cel-Fi is capable of up to 13000 sq ft). Can I use more than one Cel-Fi unit if I need to support multiple carriers? Yes, unlike the traditional cabled kits from SureCall and weBoost, the Cel-Fi kits can be used in the same location without causing interference between the systems.